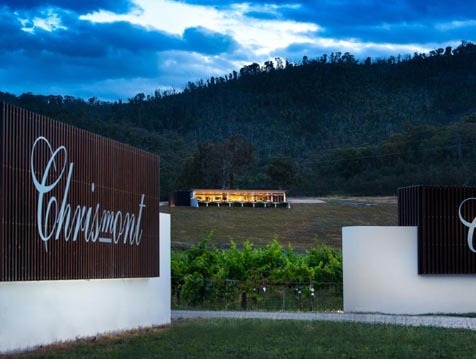 The owners brief for this project was to create a unique destination for visitors to the King Valley, where the wines and food of Chrismont could be shared with all who visit. 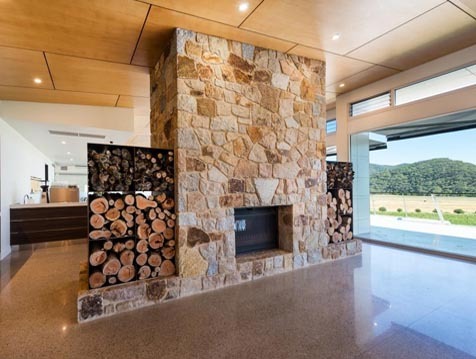 A critical element of this project was to make the most of the views of the vineyards and to use the northern orientation to its best advantage. 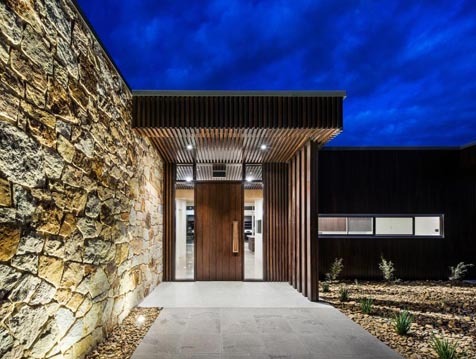 The space needed to cater for wine storage, a workable office space and most importantly a cellar door area where wine tasting would be an ‘experience’ to remember. 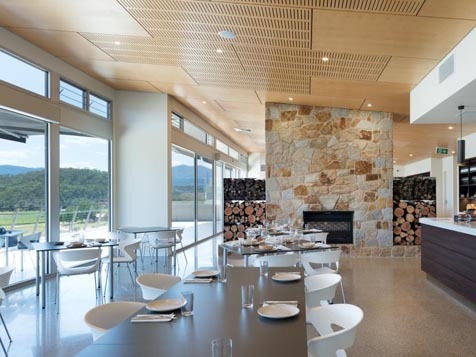 The restaurant was to be designed as an integral part of the overall concept as well as having additional space to cater for weddings and corporate functions. The glazing was a significant part of the design as the building needed to be expansive in length to make the most of the amazing north facing outlook. The challenge was to maximise these views while creating solar gain in winter and soften the bright sun in winter. Floor to ceiling glazing and soft grey tint achieved the desired result. High Breezway Altair Louvre Windows on both sides of the building capture the cooler easterly breezes and create natural air flow.